Thank you for joining us at the Lost Lands: Dark Overlord Walkthrough, where you'll find everything you need to know to help you track down little Jimmy. As you explore these new exotic lands, be sure to consult with our detailed step by step instructions, our custom marked screenshots, and our simple puzzle solutions to help you as you travel through the forest searching for your kidnapped son. 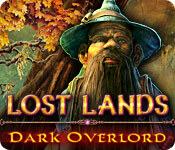 We hope you enjoy our Lost Lands: Dark Overlord Walkthrough. In Lost Lands: Dark Overlord, you were having a quiet conversation on your phone in the dark of night, while your child played with his teddy bear. A softy glowing light and a faint call from a creepy looking tree beckon to little Jimmy to come closer. Being a curious child, as children often are, he walks over to the tree, and before you know it or even finish your conversation, poor Jimmy has been sucked up into some crazy portal inside the tree! There's nothing left now to do but to follow Jimmy into a strange new world where he has been kidnapped by a mysterious dark force. Can you gather your courage and make new friends in order to track Jimmy down and rescue him? Find out in this exciting hidden object adventure game! Difficulty Settings - There are three difficulty settings for you to choose from: Easy, Normal, and Hard. Inventory - Your inventory can be found at the bottom of the screen. Hover your mouse over the bottom to bring it up. Click the padlock to lock the inventory in place. Click on an item to use it. Tasks - Your current tasks can be found in the bottom left hand corner of your screen. Click on the scrolls to open the task view. Collection Objects - There are 34 collectible items to find in the CE. To see what you've already found, click on the skull in the bottom left hand corner. Owl Helper - Once you save the Owl, he will be in your inventory. He'll help you out during your journey with hard to reach items. Sparkle Areas - Areas that sparkle indicate a hidden object scene. Click on the area to start it. Find all the items on the list in order to add an important item to your inventory. And that's the basics for playing Lost Lands: Dark Overlord Walkthrough! Good luck! 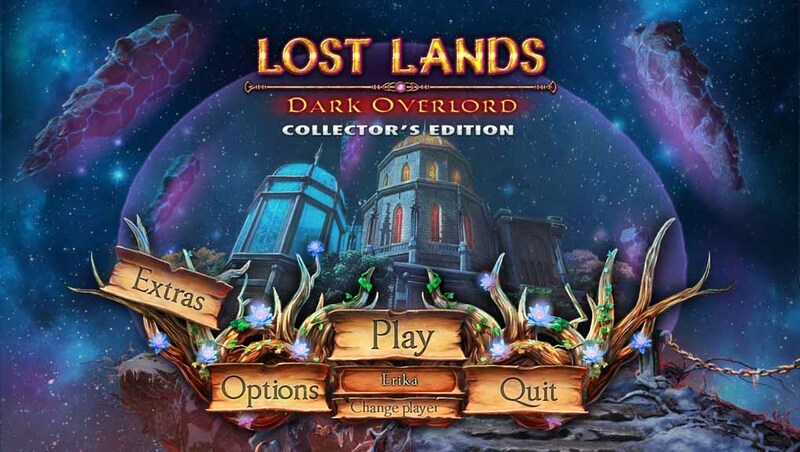 And we hope you enjoy our Lost Lands: Dark Overlord Walkthrough! Good luck!